One of the most popular items sold at the Twin Cities Habitat ReStore are Adirondack chairs and toy boxes built through youth workshops. These chairs not only generate funding for our mission, but also provide a hands-on building opportunity for volunteers who are too young to help with construction on our Habitat homes. 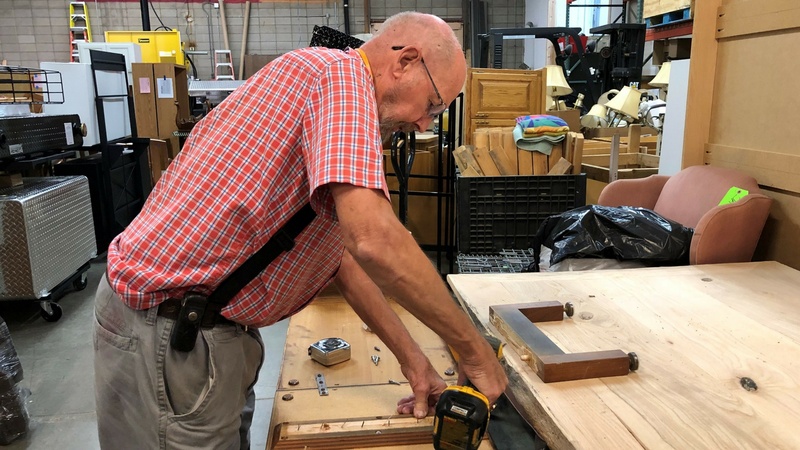 Meet our New Brighton ReStore wood-working volunteer, Calvin, everyone! Signing up for college service hours somewhere in the Twin Cities? Flexible hours plus a fun and physical environment are often a student’s key objectives. These were met by signing up at the Minneapolis Habitat for Humanity ReStore, a non-profit thrift store that is located a short three mile drive west of campus and adjacent to the Midtown Greenway bike path. Bihari Desai first started volunteering with Twin Cities Habitat for Humanity when he worked at Xcel Energy, but his passion to give back would last beyond his professional career. Now a retired project manager, Bihari volunteers for two four-hour shifts each week at Habitat for Humanity's ReStore. As a volunteer, he stocks and organizes shelves, disassembles and organizes scrap metal, and helps customers. He is one one of 40 regular volunteers that help run both Twin Cities Habitat ReStore locations. As we say goodbye to 2017 and hello to a New Year, we have a lot of successes to celebrate and new goals to achieve! Michael is a senior at Cristo Rey Jesuit High School in Minneapolis. The school is unique because every student has a part-time job in the real world in addition to their classes. Michael works at Twin Cities Habitat’s ReStore one day a week. 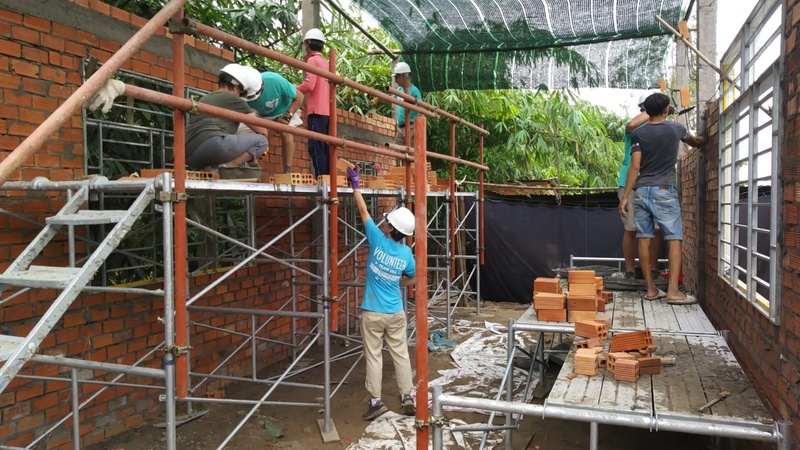 Ask a regular volunteer at Twin Cities Habitat for Humanity ReStores what volunteering is like, and at some point they’ll probably tell you it’s like being part of a big family with a common mission. Everyone has a different role to play—whether that’s organizing volunteers, pricing merchandise, or making sure everything looks good on the floor. 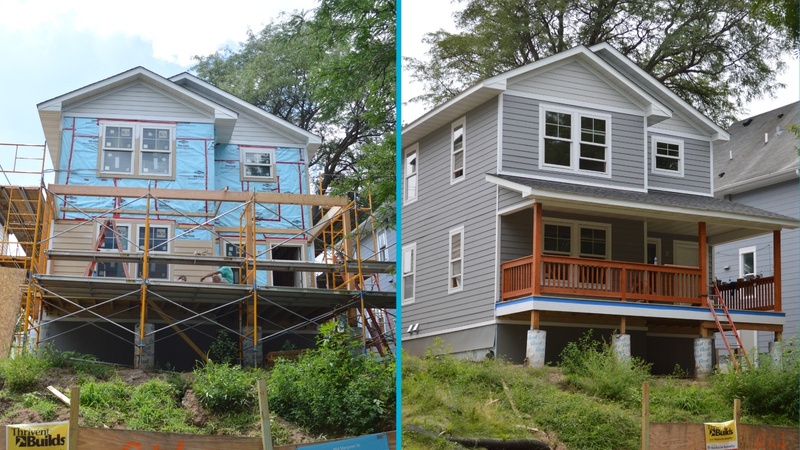 And every seemingly little action adds up in a big way: in the last year, revenue from the ReStores helped sponsor the building of six Habitat homes. 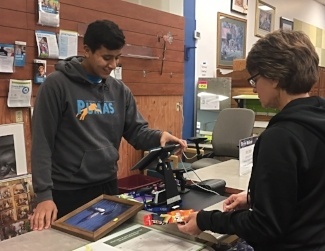 When your first job as a high schooler is at a Twin Cities Habitat ReStore, you can rest assured that you’ll have plenty of variety in your work. That’s what ReStore interns through the Step-Up Achieve program have found.